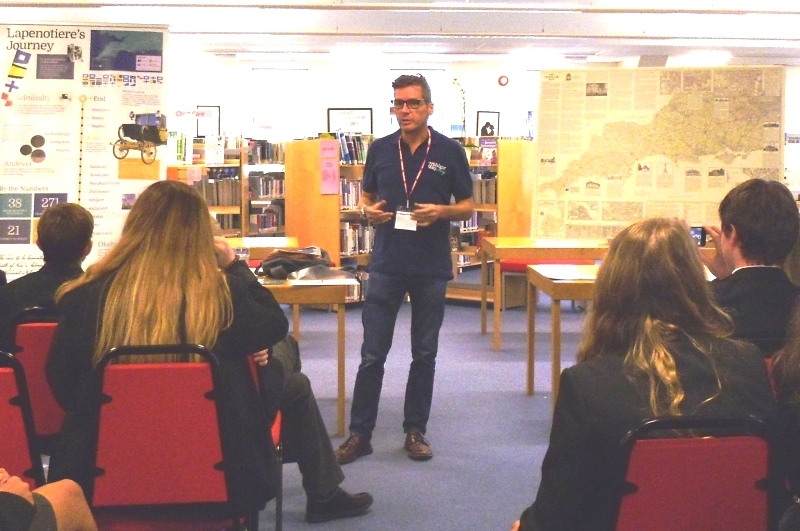 Adam’s specially commissioned short story ‘An Urgent Message’ which imagines what it might have been like for Lieutenant Lapenotiere to deliver his dispatch, is being used to help inspire young people to get writing and is available to read or download on The Trafalgar Way website. The competition, which is open to three age categories, is open to those who live in the counties and districts along The Trafalgar Way. Its route goes through Cornwall, Devon, Dorset, Wiltshire, Hampshire and Surrey as well as the London boroughs of Hounslow, Hammersmith, Fulham, Kensington, Chelsea and Westminster. The older age category is also open to Sea Cadets, Royal Naval personnel and Royal Marine Reserves resident anywhere in the UK.